1921 Tequila undergoes a careful production process in a state-of-the-art facility using premium quality 100% Blue Weber Agave. Cultivated in the red soils of the highlands region of Jalisco, estate grown agave is given great care and nourishment, encouraging optimal growth and ideal sugar concentration levels that are confirmed via routine independent lab tests. Mature harvested piñas endure a 72 hour slow-cooking process consisting of a 24 hour continuous cooking period, 24 hour resting period and finally a 24 hour cooling period with the oven doors open. Fermentation and distillation occur under carefully supervised and temperature controlled conditions. Each bottle is wax sealed manually, to prevent leakage and premature oxidation. An elegant label and bottle presentation adorned with a hand-painted clay medallion is symbolic of Mexico's rich history and most valued traditions. The number "1921" represents the concluding year of the Mexican Revolution. 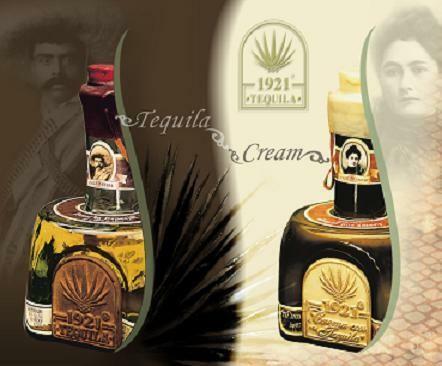 1921 products are available in Mexico, the USA, Canada, China, and several European markets.